You know that old saw about a broken watch being right twice a day? That’s more than you can say about a lot of opinions about the Apple Watch. Yeah. Who wants one of those? What does Herrman cite as his very first piece of evidence right in the lede? The jokey video Apple showed at the beginning of the iPhone XS release event. The subtext, in this now-customary display of self-deprecation, is that Apple, which saw its market capitalization pass $1 trillion in August this year, doesn’t quite know what to do with itself. John, Freud called—which, yeah, is weird because he’s been dead for kind of a while now, but he really called on the actual phone, it’s amazing but true—and he said sometimes a jokey video is just a jokey video. Apple has been pilloried in the last year (oh, look, even in The New York Times) for creating the modern smartphone which people like too much and, therefore, are always looking at. What to do now that the company has tried to give people options to reduce their smartphone dependence? Beat them over the head for that, too, by claiming the company doesn’t know what it’s doing. Four years and millions of sales later, the Apple-Watch-as-iPhone-antidote pitch remains, as do its use cases as fitness and health devices. More important is what hasn’t yet happened. Whether by accident or by design, the watch has so far been immune to the runaway success that redefined the iPhone. But the Watch is a runaway success. No one would argue that the Amazon Echo isn’t a success yet the Apple Watch sells in greater numbers at a higher price and everyone seems to think it’s a flop. Apple is still in the process—and still in charge—of guessing what most people could get out of an Apple Watch. No, it isn’t. The primary selling point of the Watch wasn’t clear when it shipped and The Macalope doesn’t know if Apple hadn’t figured it out at that point or just wasn’t ready to emphasize it then, but it’s health. The horny one doesn’t know how anyone watching the company’s Apple Watch Series 4 reveal could miss that unless they were watching it with one eye and Brazilian soap operas with the other. What future it may have still belongs to Apple. And this appears to be making the company anxious. Buckle up. It’s time for some amateur psychoanalysis. These carefully chosen marketing images represent a plausible day in the life of no one so much as the very Apple executives presenting the product onstage, many appearing to be in some advanced stage of the reverse-aging epidemic that has afflicted Silicon Valley in recent years. Exercising is just a symptom of your fear of death! Don’t buy an Apple Watch in a vain attempt to get fit! Give in and eat box after box of Ho Hos until you expire from a surfeit of distilled monoglycerides! That’s the only way to beat The Man. As Apple continues its institutional struggle to conceive of what the Apple Watch is, or could be, in the imaginations of its customers, it’s worth remembering that Apple’s stated commitment to privacy is, in practice, narrow. Yeah, it’s not like they duked it out in court with the freakin’ FBI over the privacy rights of a dead terrorist. The competitors that Cook likes to prod about their data-exploitative business models have a necessary and complicit partner in his company, having found many of their customers though Apple’s devices and software. Many bad ideas are spread through books. Clearly books are to blame. Probably best to burn them all. This is especially relevant as Apple casts about for ideas elsewhere. Apple has already met with the insurance giant Aetna about ways in which the company might use Apple Watches to encourage healthier—and cheaper—behavior in its tens of millions of customers. Programs that you can choose to enroll in are just the same as Facebook and Google mining your data without your knowledge. Apple is left still guessing, with more persistence than confidence, what customers might not yet know they want. Meanwhile, the market is watching, and coming up with its own answers. 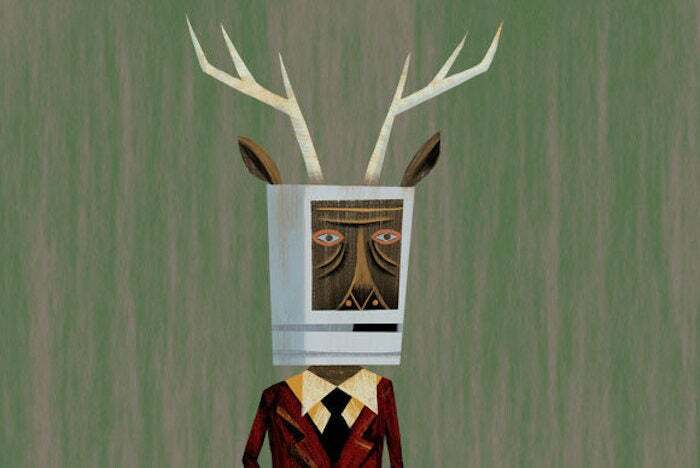 As one of those answers is a button that moves physical watch hands out of the way so you can see your notifications, the Macalope isn’t exactly worried for the Apple Watch. If you knew nothing about the Apple Watch and read only this article, you would probably be pretty surprised to learn that it’s not only the best-selling smartwatch, it’s the best-selling watch, period.